Like every great photo, your teeth need a solid frame to display their true beauty. But if your gums are pulling away from your pearly whites, your teeth may appear too long, or you may experience discomfort as a result. If that sounds like you, it’s time for you to learn about receding gums and their treatment at West 7th Smiles. Dr. Boyd is in with more information about gum recession to help your teeth get the beautiful frame they truly deserve! Receding gums occur when gum tissue pulls away from the teeth, leaving more of the tooth or even its root exposed. When gum recession takes place, cosmetic issues, tooth sensitivity and even missing teeth can occur as a result. To put it lightly, receding gums are a problem you don’t want to ignore. If you or a loved one are experiencing any of these gum issues, please do not hesitate to contact your Fort Worth dentist as soon as possible. 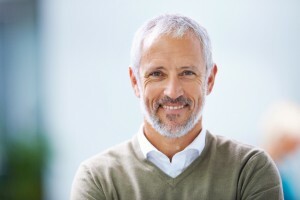 Gum recession may be caused by a number of factors, including gum disease, insufficient oral care, aggressive tooth brushing, tobacco use, a misaligned bite and more. Fortunately, you can help to prevent the condition by brushing gently, using a soft bristled brush, for two minutes, twice a day, flossing daily and visiting your dentist twice annually. These little steps all add up to big time oral health — and that means you get to enjoy healthier teeth and gums for a lifetime. If you’re already suffering from gum recession, though, you’ll be relieved to know that you can find stellar treatment at West 7th Smiles in Fort Worth. We serve the smiles of all of Texas, the United States and the world — and that means we take care of common issues like receding gums comfortably and effectively. Your gum treatment may involve one of the following, depending on your unique oral situation and lifestyle needs. Whatever treatment it is that’s right for you and your mouth, you can feel confident knowing you’re treating your receding gums with someone who is concerned about your overall health and happiness, Dr. John G. Boyd. Are you interested in receiving treatment for your receding gums in Fort Worth? Click here to find out how you can contact our office to request your appointment. We’re waiting to help you achieve the smile of your dreams — so contact us today!